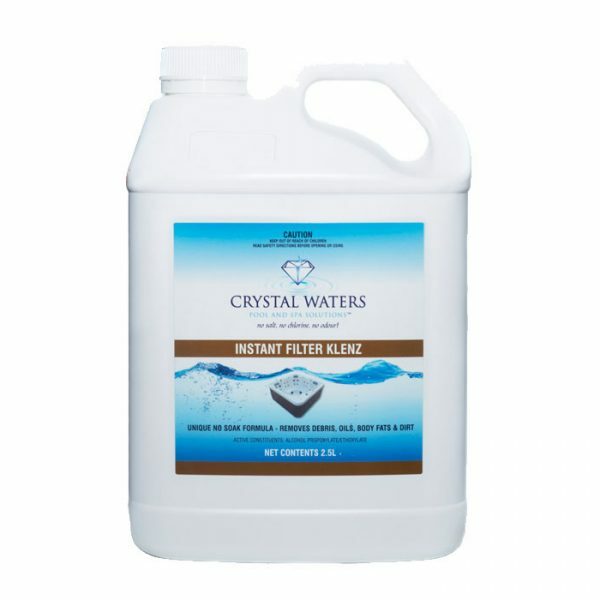 Instant Filter Klenz is specifically designed to be used as part of the regular cleaning routine for all filter cartridges. It removes debris, oils, body fats and dirt, using a unique “No Soak” formula to minimise downtime of your spa. 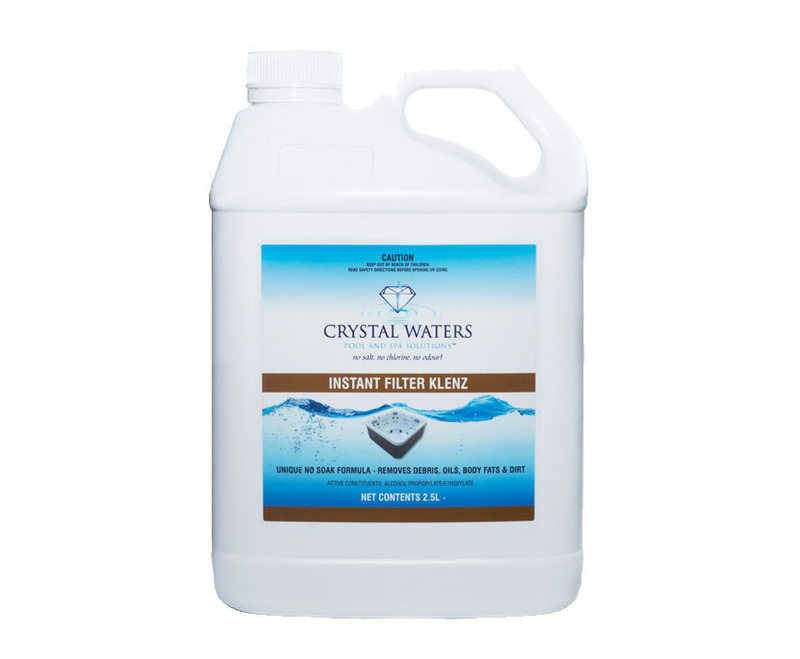 Simply spray Instant Filter Klenz onto your filter cartridge thoroughly, and hose off after 15 minutes! Instant Filter Klenz should be used weekly, or every 10 person hours of spa usage. For example if 2 people are in the spa for 5 hours, your filters will need to be cleaned.